In the time that the Nintendo Switch has been out, it’s managed to get a whole host of excellent multiplayer games to enjoy with your friends and family. Here are the best 2 player Nintendo Switch games you can get your hands on right now. There aren’t many better 2 player experiences than sitting down with a friend and just playing Super Smash Bros. together on a couch. What’s better is that this edition you can not only play the traditional Smash together, but you can also queue up as a team online to play against another squad of two. Play as your favorite Fire Emblem hero and ravage the battlefield with a friend! Fire Emblem Warriors features a wealth of different hack-and-slash missions while still staying true to the game’s original formula. Clear the story and history mode with another player by just handing them another Joy-Con, making this action-packed adventure a perfect 2 player Nintendo Switch game. Burn some rubber with Mario and his friends in this insane racing game. The Mario Kart series has always been a staple franchise on Nintendo consoles, and now it’s on the Switch as well. Pick from a handful of iconic characters and race through different stages based on iconic locations, such as Rainbow Road and Peach’s Castle. If you’re feeling competitive you can race against a friend or face them head on in Battle Mode. 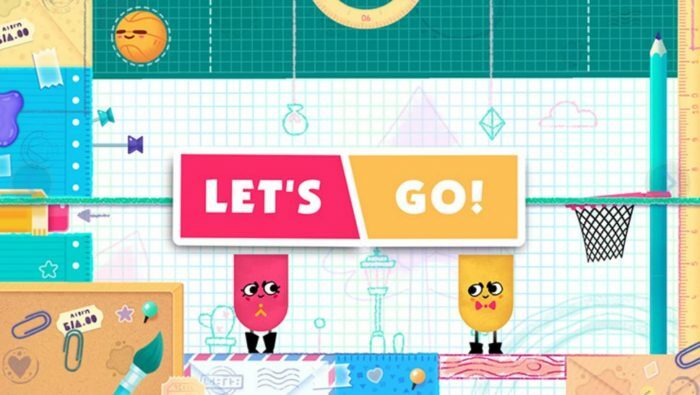 Cooperation is key in Snipperclips. Pass the Joy-Con and play with a friend as you take on an assortment of quirky 2 player puzzles in the game. Play as paper pals Snip and Clip and work together by trimming each other to reach your goal. Once you’re done with the main challenges, you can try the other game modes like hockey and the battle mode. Super Mario Party is a return to form for a series that was lost for a long time. Although it isn’t a 1:1 reaction of the N64 classics, it’s the best game we’ve gotten since that era. Even better, there are maps specifically designed for teams of 2, and a new cooperative mode. If you’re a fan of fighting games, then ARMS is right up your alley. In this Nintendo Switch fighting game, you play as a fighter with, well, extendable arms. Each arm is customizable, with their own special effects and abilities. If you have an extra pair of Joy-Cons, you and a friend can duke it out on the battlefield. After Bowser forces Princess Peach into marriage, Mario sets off on yet another adventure in Super Mario Odyssey. This time, he’s joined by an unlikely ally named Cappy who can control objects and even enemies. For its 2 player mode, one player controls Mario while the other person controls Cappy. Players can work together by clearing puzzles, fighting enemies, and leaping through platform puzzles. Hell’s kitchen comes to life in Overcooked 2. You and your friend will be dashing around the kitchen and juggling ingredients as you battle the constant countdown of the timer. If things aren’t frantic enough, you’ll be working in some of the most weirdly designed culinary stations ever made. Your kitchen is ever changing, comprising of speeding trucks, volcanoes, frozen lakes, and even rocking sailing ships. Get your groove on and dance with your friend in Just Dance 2018 on the Nintendo Switch. The game features plenty of popular songs to choose from, such as 24K Magic by Bruno Mars, Bad Liar by Selena Gomez, and Waka Waka by Shakira. Now you can settle the score with your friend with that long-awaited dance-off. The perfect party game, 1-2 Switch is filled with all sorts of quirky mini-games. Games like Telephone, where the both of you must pick up the Joy Con as fast as possible and yell “Hello,” and Safe Crack, where you use the controller’s vibration feature to “crack open” a safe, make for the perfect 2 player experience with a friend. Have you ever wanted to play soccer, but with cars? In Rocket League, you can zoom through the field with a jet-powered vehicle and perform plenty of awesome tricks as you try and push the ball to the opponent’s goal. In the 2 player mode, you can team up with another person or play against them instead. An unforgiving platforming Nintendo Switch adventure, Shovel Knight: Treasure Trove is filled with all sorts of dangerous enemies and death-defying puzzles. Play through different stages, each with their own theme and boss, and fight enemies with your trusty shovel. 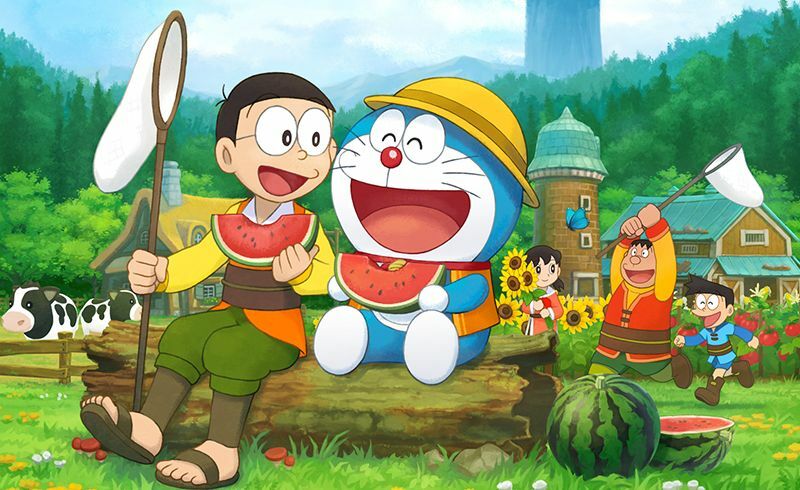 Since every adventure is always fun with a friend, you can bring one along with you in the 2 player mode. Treasure Trove also comes with the rest of the campaign expansions, so it’s definitely good value for money. Mario teams up with the Rabbids to save the Mushroom Kingdom in Mario + Rabbids: Kingdom Battle. Combat is tactical and turn-based, with each character having their own set of weapons and abilities. For the 2 player mode, players can work together and overcome different challenges. The developers also patched in a VS mode, so you can also battle against your friend. 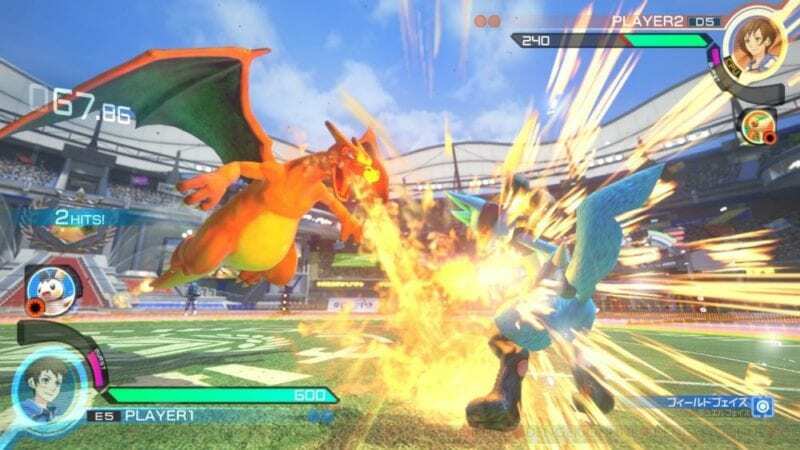 Not your average Pokemon game, Pokken has ‘mons duking it out in the ring on the Nintendo Switch. Battles are no longer turn-based but involve more traditional fighting game mechanics by blending both 3D and 2D elements. Every fighter has their own stylized move set, each bringing something new to the table. If you’re going to fight your friend, all you need to do is hand them your Nintendo Switch Joy-Con. Now, here’s a blast from the past. Sonic Mania ditches its modern 3D gimmicks and goes back to the plain ‘ol 2D platforming fun. Play as Sonic, Tails, Mighty, Ray, or Knuckles and clear through both old and new stages, paying homage to the traditional Sega Genesis Sonic games. For its 2 player mode, you and another friend can race to the end of a stage together. On the other hand, you can try your hand at the “Mean Bean” 2 player minigame based on the 1993 spinoff game, Dr. Robotnik’s Mean Bean Machine. 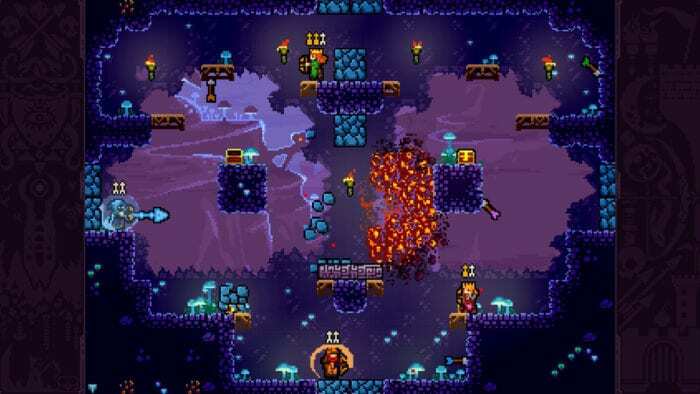 Towerfall was once known for being a great party game, and it still is. You and 2-4 friends can battle it out in themed arenas shooting arrows at each other in a game that is kind of like a retro smash-like experience. However, the Ascension upgrade adds a cooperative campaign that you and another friend can work together on as well. Help Isaac escape from his mother’s basement in The Binding of Isaac: Afterbirth+ on the Nintendo Switch. Make your way through rooms swarming with deadly enemies and collect power-ups and money to strengthen your arsenal. The Nintendo Switch version supports local co-op, so you can bring a friend along with you on your godforsaken adventure. This top-down blast ’em up adventure sends players on a magical quest to find the nine parchments scattered throughout the world. Play as one out of eight heroes, each specializing in their own field of magic, and blast through foes on your top-down adventure. As you progress, you’ll gain even more spells and pull off stunning combos. And, of course, there’s always room to bring a friend along in the multiplayer mode. Pick up the pieces of your fallen world and build to your heart’s content in Portal Knights! Create your very own character and choose your class (Swordsman, Archer, Mage) and travel through different locations as you collect materials and slay monsters. With so much to build and many enemies to fight, it’s always a great idea to have a friend along on your quest. The 2 player mode offers splitscreen functionality, but you’ll need two pairs of Joy-Cons. Bayonetta’s back with a bang, this time on the Nintendo Switch. Pull off those incredibly stylish combos as you sashay your way through angels and demons in the game. For the game’s 2 player mode, you can partner up with a friend and take on different challenges in Climax Mode. Compete with each other and earn the highest score by avoiding damage, mixing up combos, and quickly clearing through waves of enemies. Oh, and it’s also a great way to stack up on halos. Roll your way through bullet hell in this explosive action-packed experience on the Nintendo Switch. In Enter the Gungeon, you play as one of four characters that come loaded with their own traits, and bash your way through levels sprawling with bullets, lasers, beams – you name it. In the 2 player mode, you can team up with a friend and brave through the levels together with all sorts of bizarre guns. Take a step back into the world of horror and survive Sushestvovanie Island in Resident Evil Revelations 2 on the Nintendo Switch. Learn the truth behind Alex Wesker’s experiments and face dozens of mutated creatures. 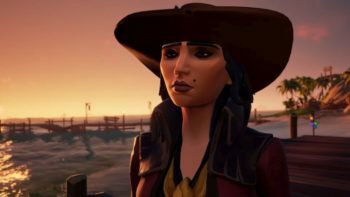 The main campaign, split between Claire/Moira and Barry/Natalia, is fully playable with a friend, making this title the perfect 2 player game. One player is in charge of taking down enemies while the other person provides support through flashlights and sensing monsters. Similarly, you can also try the Raid Mode and tackle a series of missions based on the locations from the main series. Clear through a series of hilarious challenges in this physics-based puzzle game on the Nintendo Switch. Set in dream-like sequences, you and your friend must work through a collection of puzzles with nothing but the ability to grab objects and climb obstacles. After all, watching your characters flop and wiggle around the field like a helpless little fish is always a great way to break the ice. Grab your 3D maneuver gear and kill some titans in the sequel to the Attack on Titan game. Here, you can finally make and customize your own character, bringing you to the heart of the action. The story mode is filled with heaps of action and continues where the first game left off. Meanwhile, the multiplayer mode lets you pair up with a friend and take down titans together. The latest entry in the Kirby series, Star Allies is a heartwarming adventure Nintendo Switch game filled with love and friendship. The pink puffball can send out a heart, turning a nemesis into a pal on his adventure. Once you manage to sway over a frenemy, your friend can control them throughout the game. On top of that, each frenemy has their own set of skills, so the second player can freely switch between different play styles. A multiplayer classic, Minecraft has always been a popular choice to play with friends. Whether you’re fending off zombies and creepers in survival mode or if you’re building a personal utopia in creative mode, there’s just so much to do with your friends in the game. That said, Minecraft is definitely one of the best 2 player games you can get on the Nintendo Switch. Pac-Man Championship Edition 2 Plus brings the classic Pac-Man gameplay onto the Nintendo Switch, but with some interesting twists. Team up with a friend in the 2 player co-op mode and collect as many fruits and Pac Dots while avoiding any ghosts coming your way. If someone gets caught, the other player can quickly swoop in and save the day, making for an intense 2 player experience. Those looking for a more traditional sports game need look no further than FIFA. This football game is chock full of sports goodness, featuring over 52 stadiums from 12 countries and iconic athletes, such as Cristiano Ronaldo and Danny Williams. The developers have tinkered around with the Nintendo Switch version, creating a streamlined 2 player co-op experience with the Joy-Cons. Take soccer with you and your friends wherever you go. The excellent port of the Wii U’s Donkey Kong Country: Tropical Freeze is a great two player that actually enhances the single-player. Instead of just being carried around by DK, the second player can freely play on their own. If you love side scroller shoot-em-ups, Mercenary Kings is among the best to have been released this generation. It’s complete with modern features like crafting your arsenal, and retains the simple go right and shoot things with a friend action you would expect. Wizards of Legend is a rogue-lite game that took the Nintendo Switch by storm right after release. WoL is a fast-paced action game where you and a friend can cast and create spells to crawl through as many dungeons as you can before death. The classic tower defense game is back and with the latest sequel, you can play with a friend who can help you survive waves of enemies. If you love tower defense games, and wish you could play it 2-player with a friend, PJM2 is a good choice. N++ is a fast-paced platformer that pits you in a series of increasingly difficult levels that get more and more treacherous. In two-player mode, you can race against a friend and see who can finish the levels quicker. It’s quite addicting. Love Dynasty Warrior-like games? Love Link and TLOZ? Then Hyrule Warriors: Definitive Edition will be a no-brainer, and you can cut through hordes of enemies with a friend this time. The Escapists 2 is a game that is great on its own, but becomes a totally different (and better) experience with a friend. Live out a life in prison, and try to come up with a way to escape with your friend without getting caught. Ah yes, the classic. Play through the original Super Mario Bros. game that started it all as Mario and Luigi. In this updated version, you can also share high scores around the world and change things like enemy placement to mix things up from what you and your friends will remember. Mario Tennis Aces is the latest sports game in the series that adds in a slew of new mechanics to the game. While you can battle in singles, you can team up with a friend and play against other opponents in doubles. Paint the town red with a friend in de Blob on the Nintendo Switch. 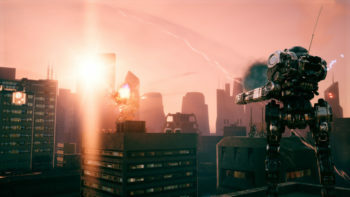 There are different multiplayer matches in the game, from a race to color as many buildings as possible to collecting as many paint as you can without being caught by another player. Runbow is all about making it to the top by being the first person to grab the trophy at the end of each level. The adventure and bowhemoth modes also support 2-player coop, so you can finish the game with a friend. Mushroom Wars 2 places you in the heat of war as, well, a mushroom in real-time strategy fights. Apart from the competitive multiplayer mode, Mushroom Wars 2 also supports a 2-player co-op mode. If you’re a big fan of games like Mega Man X, then 20XX might be right up your alley. This roguelike action platforming game is tricky and challenging, with randomly generated levels and tough enemies. 20XX does include a co-op mode, so you can complete the challenges with a friend. Muddledash is a quirky party game that’s all about racing to the end of each level as an adorable octopus. You’ll be booping your way around different locations and slapping, kicking, and bumping away the competition. Captain Toad: Treasure Tracker makes his return on the Nintendo Switch, offering the same mind-boggling adventures on the go. There are various stages to complete, and you can bring a second player along, Toadette, and work together to make it past the many obstacles and puzzles. Fortnite has finally landed on the Nintendo Switch, bringing all of the battle royale action right in your pocket. Here, you can group up with another player and try to win the game by being the last pair standing amonst a wave of 90-something other players. Worlds collide in BlazBlue: Cross Tag Battle, featuring Blazblue, Under Night In-Birth, Persona, and RWBY in an epic crossover. 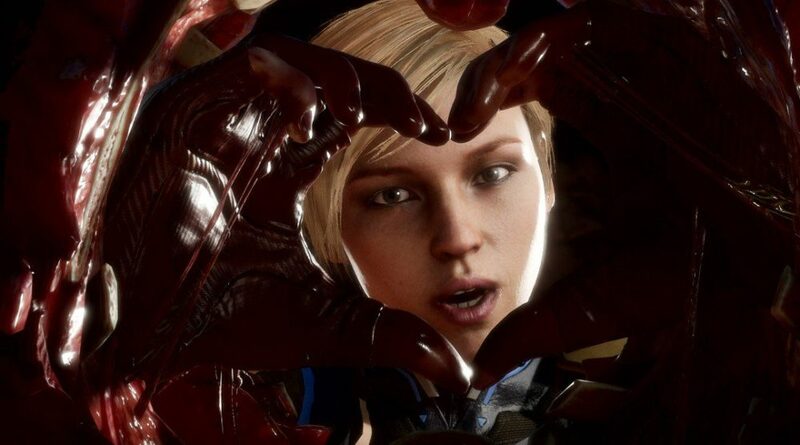 When you’re feeling confident with your fighting skills, you can challenge your friend to a tag-team match using characters such as Ragna the Bloodedge and Ruby Rose. There aren't many better 2 player experiences than sitting down with a friend and just playing Super Smash Bros. together on a couch. 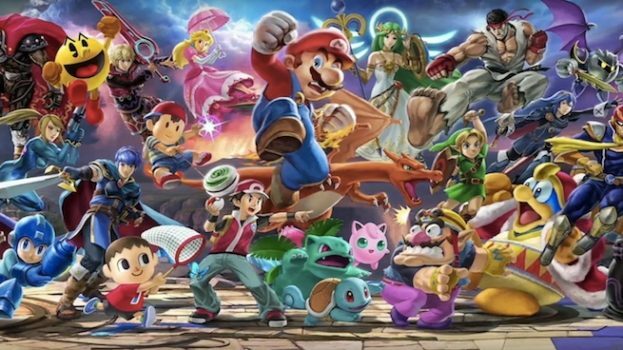 What's better is that this edition you can not only play the traditional Smash together, but you can also queue up as a team online to play against another squad of two.